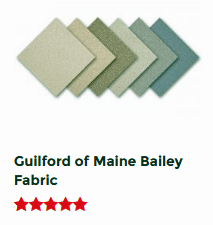 Our Guilford of Maine Bailey Acoustic Fabric is used to wrap an acoustical substrate or other absorptive material. The Bailey series is a multi-color weave combining more than one color for a bold finish. The designer fabric’s texture provides a clean and beautiful finish for your project. Guilford Fabric ships as a continuous piece. If you order 10 yards, you will receive a continuous 10 yard piece. The only exception would be for quantities around 50 – 60 yards, where the material would exceed the shipping and packing limitations. CLEANING AND MAINTENANCE: Clean with water based cleaning agents, foam or pure, water free solvents. Vacuuming or light brushing is recommended to prevent dust and soil buildup. Diamond Credit Union located in Pennsylvania recently opened a new branch to serve a wider area. They hired Jettco Designs to plan the look and feel of the new building. John Thies of Diamond Credit Union headed this project, and created a layout that was functional and great looking with the help of Acoustical Solutions. Banks and credit unions rely on creating trust between themselves and customers to successfully operate their business. When dealing with a client’s financial assets, an atmosphere of professionalism and stability must be emulated to communicate security to all who walk in the building. This is exactly what Diamond Credit Union was looking to create with their new office opening in the Exeter Township of Pennsylvania. John Thies from Jettco Designs took on this task and noted that noise control was something that needed to be addressed. To maintain privacy for customers, sound absorptive materials would need to be used in the design. Thies did not want customers to have to speak loudly about their financial business. Adding treatment would improve speech intelligibility and lower overall noise from reverberation, allowing those in the building to understand each other while speaking quietly. Another area of special concern was the teller booths. These booths used a remote teller system, which means that bank employees were located in the back of the building and their images would appear on-screen in the teller booths while they communicated remotely with customers. While the open layout was inviting and transparent, something extra would need to be done to keep voices from escaping these booths. “We worked with Acoustical Solutions six years ago on another building and realized we would need acoustical treatment here because of all the hard surfaces. Echo would transfer the noise from one teller booth to the next”, says Thies, “and this is a huge space. It’s about 30′ x 55′ x 35′ so it’s one big cube.” A large space with hard surfaces adds up to a long reverberation time. Thies contacted Acoustical Solutions and worked with Kevin McIver in Architectural Sales to come up with an acoustical treatment that would address these concerns and fit into Thies’s design. Acoustic Ceiling Clouds were a great solution to absorb noise in the building, since there would not be a lot of wall space available. AlphaSorb® Ceiling Clouds were chosen to suspend from the ceiling. 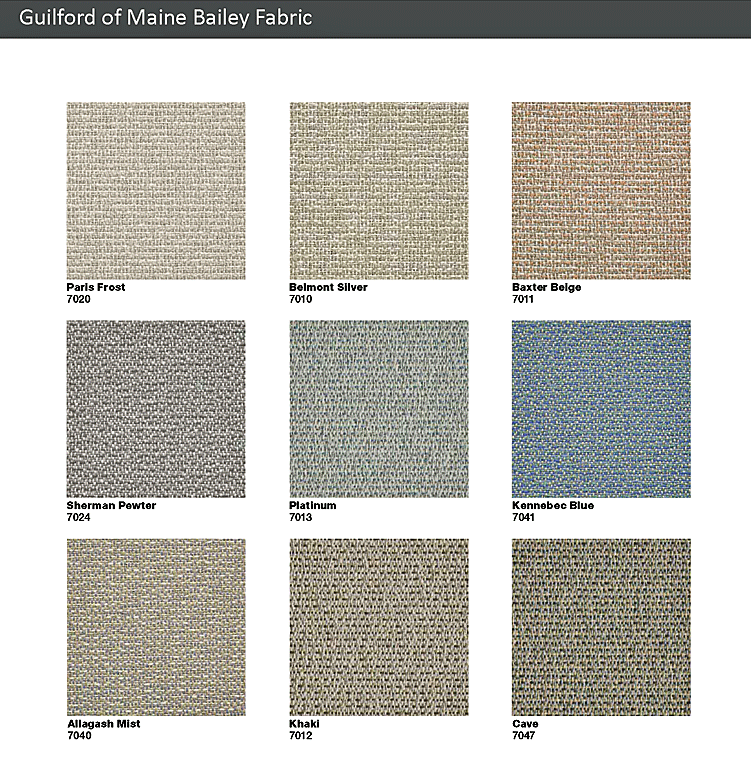 Thies chose fabric coverings from the Guilford of Maine Bailey line in the colors Allagash Mist and Kennebec Blue made in differing square shapes to creating a dynamic pattern. For the teller booths, Thies drew up a design with diamond shapes as a play on the name of the credit union. AlphaSorb® Acoustic Panels, also with Guilford of Maine Bailey fabric, were made in Belmont Silver and cut in diamond shapes to match Theis’s specifications. After installation, the AlphaSorb® acoustic treatments looked exactly like the design Thies had drawn up. The colors and shapes matched the theme of the space, and noise reduction and speech intelligibility were achieved. “The panels were extremely successful. They are working well and you can notice a difference in how quiet it is even when just two people are talking to one another,” said Thies.